Gene and Muriel Stark along with their son, Jeremiah, and his wife, Amie would like to welcome you to our latest venture in the greenhouse business. We are very excited about offering our line of Glacial Ridge Natives. 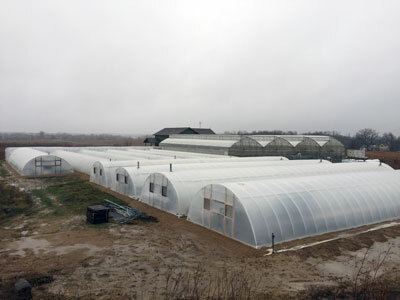 After 36 years in the greenhouse business in Lincoln, Nebraska and Prior Lake, Minnesota, we are extending our focus towards "Restoring the Prairie One Backyard at a Time." Here in west-central Minnesota, among the lakes and prairie potholes that were carved into the rolling countryside, we continue to grow and propagate plants that have resided here since before written history. Ice and snow shaped and tilled the land, preparing it for a diverse and stunning covering of grasses and flowers. The area became an ever-changing landscape, with four seasons of color and shimmering texture. The scale and grandeur of the wild prairie land inspired awe and wonder among the first explorers. At Glacial Ridge, we nurture the natives, producing the same handsome and hardy cultivars that have inhabited the prairies for centuries. We strive to bring back and restore the genetics of the past to ensure the beauty and diversity of the future. Now everyone can experience a bit of what the early explorers to the Great Plains experienced. 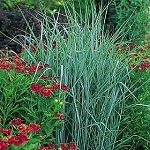 We also continue to offer a wide variety of Minnesota hardy perennials. For those of you who would like instant color, we also offer a wide variety of annual plants. And, for those of you who like to garden please check out our vegetable and herb plant offerings.